I am lucky to have a rural property that is relatively close to a large state forest in SE Ohio. I get to see lots of cool birdlife. 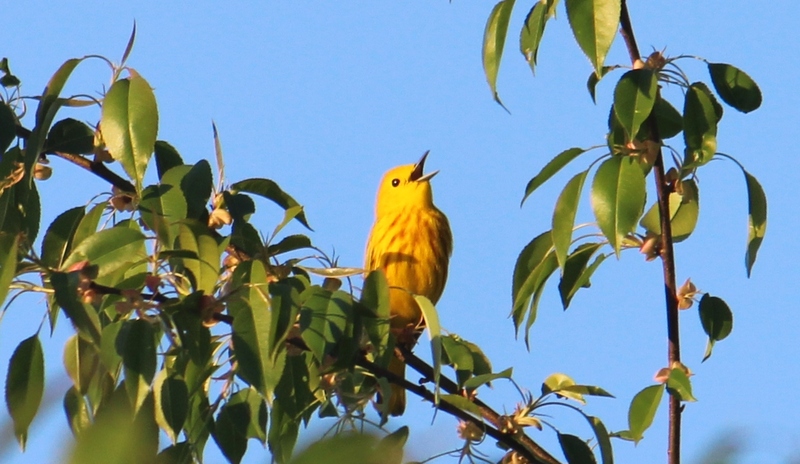 I heard this guy singing his heart out this evening, as I have the last few nights. This time I got more than a quick glimpse, he stuck around for a photo session. 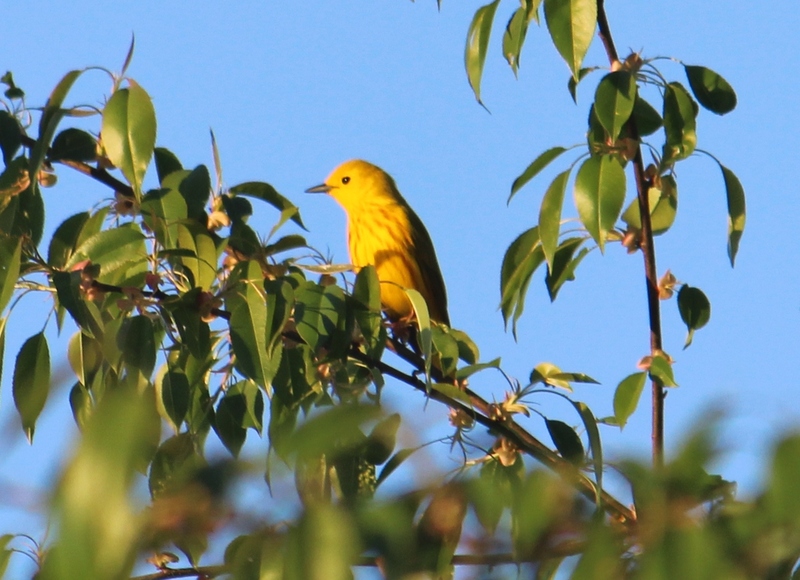 Definitely a yellow warbler. 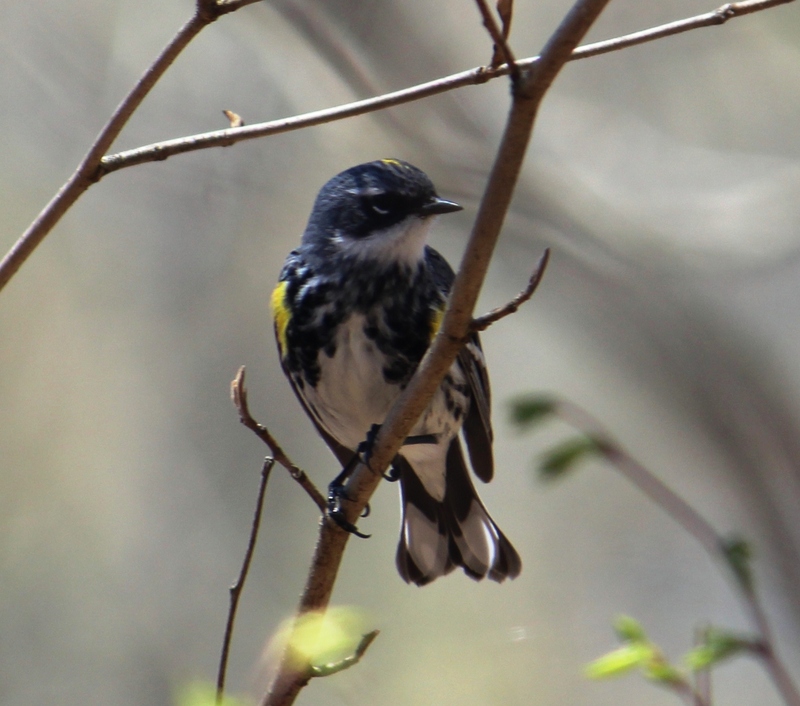 A few days ago I saw this other warbler, which I think might be a yellow rumped warbler. I splurged on a decent DSLR last Summer, a Canon, and have to say I have been very happy with the results…. Different experience from using my old Pentax K1000….. This entry was posted on May 1, 2013 at 23:26 and is filed under wildlife photography. You can follow any responses to this entry through the RSS 2.0 feed. You can leave a response, or trackback from your own site.